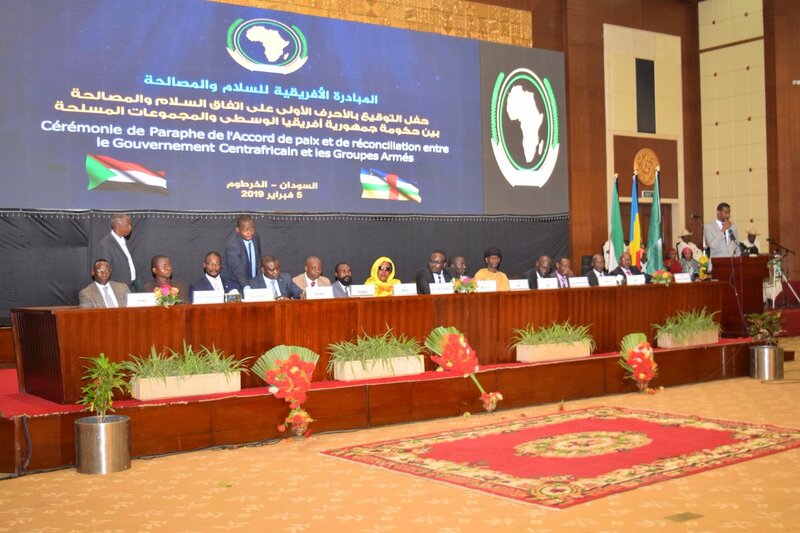 Addis Abeba, 5 February 2019: The Chairperson of the African Union Commission, Moussa Faki Mahamat, today, attended the initialing ceremony of a peace accord between the Government of the Central African Republic and fourteen armed groups, in Khartoum, the Sudan. The Chairperson commends the Central African stakeholders, the Government and the armed groups in particular, for their commitment and spirit of compromise. 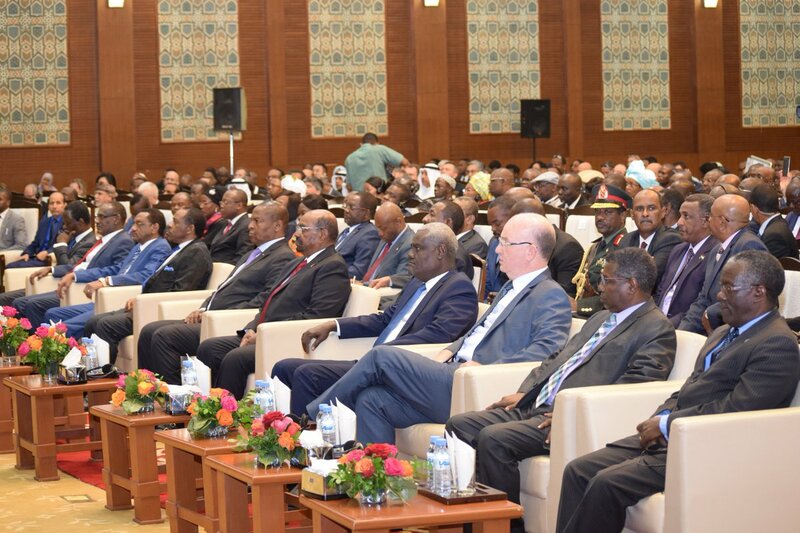 He expresses appreciation to the Sudanese authorities for their contribution and support to the peace and reconciliation process. He also commends the African Union Peace and Security Commissioner, Smaïl Chergui, and his team for their diligence in accompanying the process, thus paving the way for lasting peace and reconciliation in the Central African Republic. 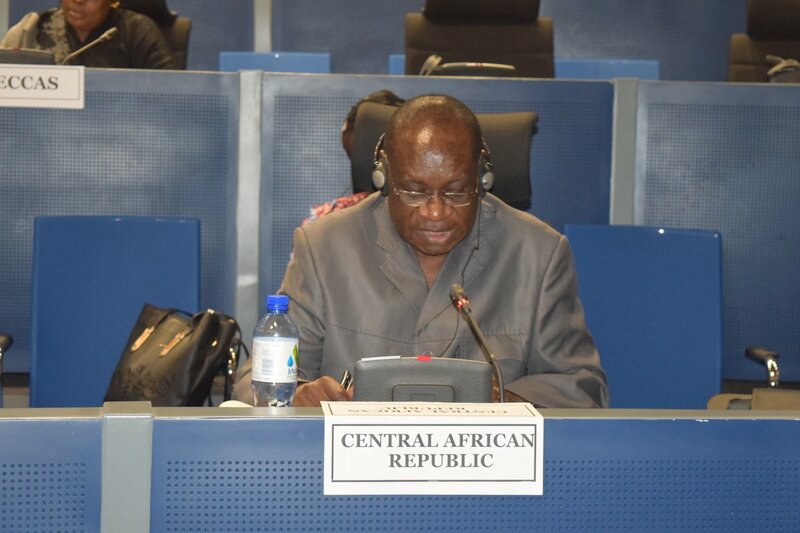 The Chairperson urges the Central African parties to fully implement the commitments made, in order to meet the aspirations of their people to peace, security and development. He reiterates the African Union’s continued determination to support the implementation of the agreement, in the spirit of continental solidarity. The Chairperson of the Commission will travel to Bangui to witness the signing of the peace accord, together with President Faustin Archange Touadera, representatives from the region and the wider international community.